Wherever you find yourself on your fitness journey – firmly on track or just getting out of the starting blocks – putting one or more goals in place is an excellent way to get you (and keep you) moving. And whether you decide on a short-term objective like increasing the number of times a week you train, or a longer term goal like completing your first marathon or cycle race, you’ll find plenty of apps to keep you motivated along the way. Here are a few worth investigating: Aaptiv; Playbook; Sworkit; Strava; Nike+; Runkeeper; Trifecta; MyFitnessPal; Couch to 5K; Yoga Daily – and, if you need some SERIOUS motivation… Zombies, Run! Unless you make exercise a non-negotiable, there’s every chance you’ll find yourself skipping it to squeeze something else important into your schedule – sleep, family, work commitments, the list continues. The World Health Organization recommends 30 to 60 minutes of moderate-intensity physical activity every day. But what if your schedule is already jam-packed? How do you find the time to train then? One way is to put your lunch hour to good use by going for a run or hitting the gym. If that’s not an option, give multi-tasking a go and exercise while you catch up with friends – hiking, cycling and walking are all lots of fun when done in a group. There are definite benefits to training at the beginning rather than at the end of the day. Firstly, you’ll have more energy after a good night’s sleep than you will after a long day at the office and secondly, you’ll never have to skip your run, gym or yoga class because you have to work late, it’s too dark or you’re too tired. • He or she will keep you accountable and support you as you work towards achieving your fitness goals. • Healthy competition is an excellent motivator. • Crushing your goals is more fun when you have someone to celebrate with! 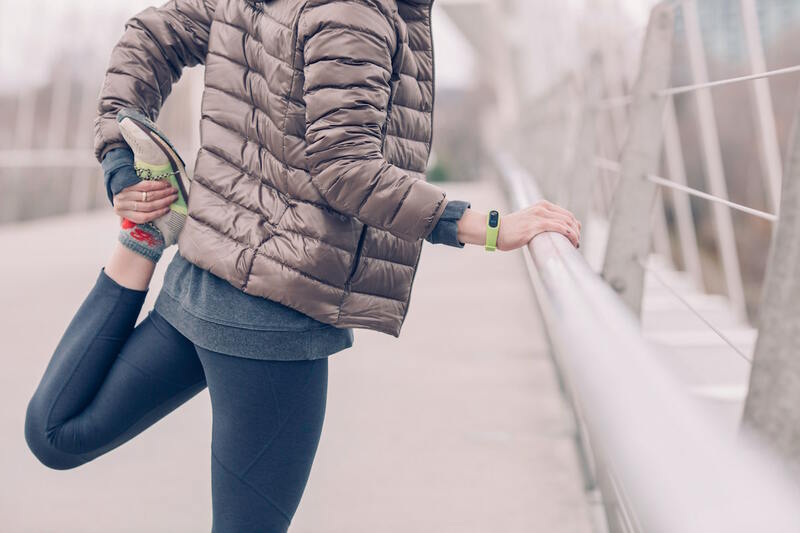 In the same way that you wouldn’t head outdoors on a chilly day in short sleeves and slops, make sure that when you exercise, you’re properly dressed for the weather. Just remember to wear layers that you can remove easily once you start warming up. A recent study conducted by researchers at Brunel University London has just proven what you’ve probably already experienced: that listening to music increases our enjoyment of exercise. So, get going on your playlist – you may want to include ‘Till I Collapse’ by Eminem which was Spotify’s most popular workout song in 2016 and 2017 – and get moving for your health!